Advanced vitamin and mineral tablets with Omega-3-6-9 capsules plus calcium and vitamin D tablets. Bulking agents: Maltodextrin & Microcrystalline Cellulose, Magnesium Oxide, Vitamin C (Ascorbic Acid [Carriers: Hydroxypropylmethylcellulose & Tartaric Acid]), L-Carnitine Tartrate, L-Tyrosine, Vitamin E (D Alpha Tocopheryl Acid Succinate) (from Soya), Zinc Sulphate, Tablet Coating: (Glycerin, Hydroxypropylmethylcellulose, Natural Source Colours [Iron Oxides], Talc), Niacin (as Nicotinamide), Anti-Caking Agents: Silicon Dioxide, Stearic Acid & Magnesium Stearate, L-Lysine Monohydrochloride, L-Arginine, Thiamin (Vitamin B1 as Mononitrate [Carrier: Hydroxypropylmethylcellulose]), Ferrous Fumarate, Citrus Bioflavonoids, Pantothenic Acid (as Calcium Salt), Vitamin B6 (Pyridoxine HCl), Siberian Ginseng Extract, Betacarotene (Carriers: Starch, Water, Antioxidant: DL-Alpha Tocopherol), Vitamin A (as Acetate [Carriers: Maltodextrin, Acacia, Corn Starch, Antioxidant: DL-Alpha Tocopherol]), Co-Enzyme Q10, Vitamin D3 (Cholecalciferol [Carriers: Acacia, Sucrose, Corn Starch, Medium Chain Triglycerides, Antioxidant: DL-Alpha Tocopherol]), Riboflavin,Crosslinked Cellulose Gum, Octacosanol (Rice Bran), Copper Sulphate, Manganese Sulphate, Folic Acid (as Pteroylmonoglutamic Acid), Potassium Iodide, Biotin, Vitamin B12 (Cyanocobalamin). Allergy Advice: For allergens, see ingredients in bold. Omega-3 Fish Oil (from Fish), Capsule Shell (Pharmaceutical Grade Gelatin [Bovine Source], Glycerin, Purified Water), Blackcurrant Seed Oil, Pumpkin Seed Oil, Olive Oil, Vitamin E (DL-Alpha Tocopheryl Acetate). Allergy Advice: For allergens, see ingredients in bold. Calcium Carbonate, Bulking Agents: Microcrystalline Cellulose & Dibasic Calcium Phosphate, Potato Starch, Tablet Coating (Hydroxypropylmethylcellulose, Propylene Glycol, Titanium Dioxide, Purified Talc), Anti-Caking Agents: Magnesium Stearate & Purified Talc, Polyvinylpyrrolidone, Vitamin D (Cholecalciferol [Carriers: Maltodextrin, Medium Chain Triglycerides, Colloidal Anhydrous Silica, Purified Talc, Butylated Hydroxyanisole, Ethyl Cellulose]). ONE MICRONUTRIENT TABLET (DARK BLUE BLISTER) PER DAY, PLUS ONE OMEGA 3-6-9 CAPSULE (GREEN BLISTER) PER DAY, PLUS ONE CALCIUM TABLET (TURQUOISE BLISTER) PER DAY. Swallow each with water or a cold drink and take with a main meal. Not to be chewed. Do not exceed the recommended intake. To be taken on a full stomach. 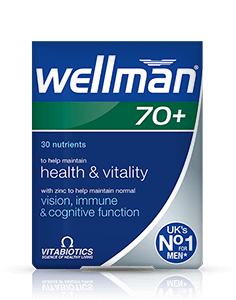 This comprehensive formula replaces other Wellman multivitamins. There is no need to take an additional multivitamin. Food supplements must not replace a varied and balanced diet and a healthy lifestyle. As with other food supplements, consult your doctor or pharmacist before using if you are under medical supervision, have epilepsy, a thyroid condition, haemochromatosis, suffer from food allergies, or are allergic to any of the ingredients. Not suitable for children. Allergy Advice: For allergens, see ingredients in bold. Made in a site that may handle nuts. Not to be taken on an empty stomach. Store below 25°C in a dry place, out of sight and reach of children. 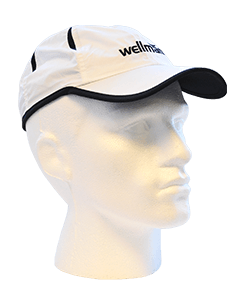 Why has Wellman Max been developed? 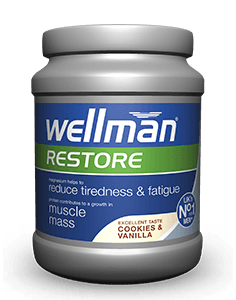 When is Wellman Max recommended? 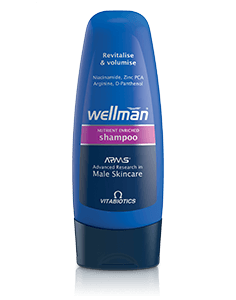 Can Wellman Max be used with medicines simultaneously? 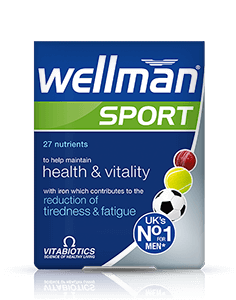 How many tablets and capsules does one pack of Wellman Max contain? 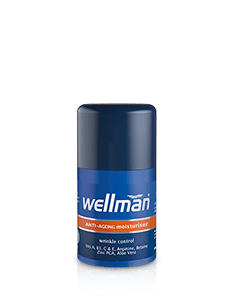 How and when should Wellman Max be used? 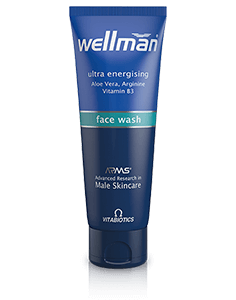 Are there any undesired effects whilst taking Wellman Max? 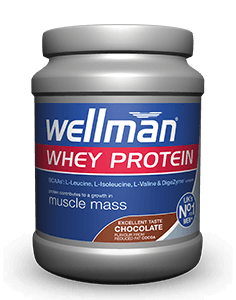 Is Wellman Max suitable for vegetarians? 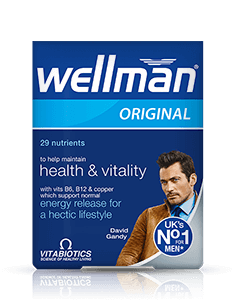 Wellman Max has been scientifically developed for men to contain a wide spectrum of nutrients and trace elements to help safeguard dietary requirements, including calcium for the demands of today's modern lifestyle. 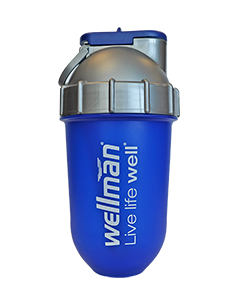 Wellman Max provides maximum nutritional support in the Wellman range. The 3-in-1 triple pack contains advanced vitamin and mineral tablets with 27 specially selected micronutrients, PLUS the added benefits of Omega 3,6,9 from premium grade Fish Oil, Blackcurrant Seed oil, Pumpkin Seed oil and EP grade Olive Oil PLUS calcium and vitamin D tablets. 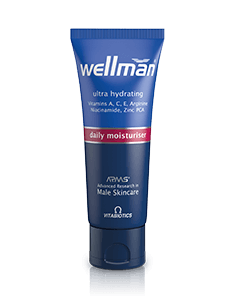 Wellman Max is recommended for men of all ages as a daily nutritional safeguard for general health and vitality. 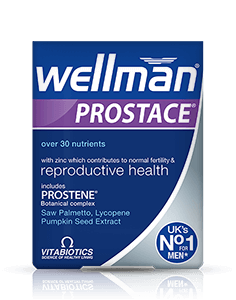 Wellman Max is ideal for those men leading an active lifestyle, and there is no need to take any other additional multivitamin. Generally, Wellman Max may be used alongside medications, because it contains only moderate levels of vitamins and minerals, and is free from any drugs or hormones. For specific advice on taking Wellman Max with medicines, we recommend that you contact your doctor or pharmacist first. 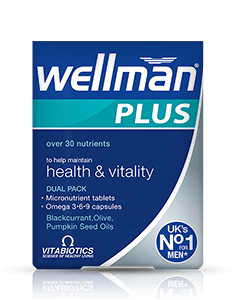 Wellman Max contains 28 x advanced micronutrient tablets, 28 x high purity Omega-3.6.9 capsules and 28 calcium and vitamin D tablets in a convenient 3-in-1 pack. It is recommended to take one micronutrient tablet, one Omega 3-6-9 capsule and one calcium tablet per day, so each pack lasts 28 days. One micronutrient tablet, one Omega 3-6-9 capsule and one calcium tablet per day are recommended with or immediately after your main meal. Swallow with water or a cold drink, without chewing. Taking the tablet/capsule with a large meal maximises the absorption of the nutrients, and can reduce mild nausea, which is sometimes experienced if multivitamins are taken on an empty stomach. Wellman Max should only be taken on a full stomach. 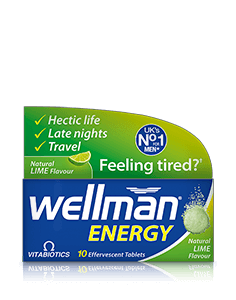 Always ensure that Wellman Max is taken with liquid to wash the tablet/capsule down, and not tea or coffee, as this may cause the tablet/capsule to disintegrate too early. Wellman Max has no known side effects when taken as directed. Do not exceed the recommended tablet/capsule intake. In case of overdose, seek medical advice immediately. 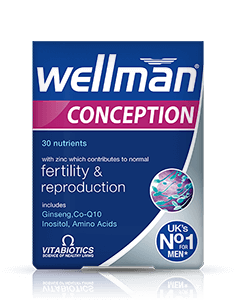 Results vary amongst individuals, but in most cases, we would expect the beneficial effects of the nutrients in Wellman Max to build over several weeks, with noticeable results in one to three months. 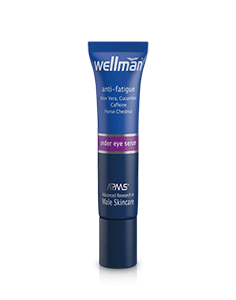 There is no maximum length of time over which Wellman Max may be used. A regular intake is recommended. No. 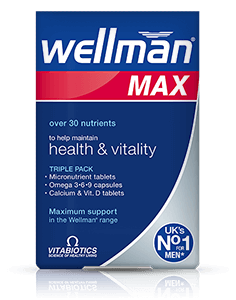 Wellman Max is not suitable for vegetarians as the Omega 3-6-9 capsules contain fish oil in a pharmaceutical grade gelatin capsule. Adults can obtain DHA and EPA indirectly through the conversion of the essential fatty acid alpha-linolenic acid (ALA), present in vegetable oils such as linseed but this process is very inefficient. 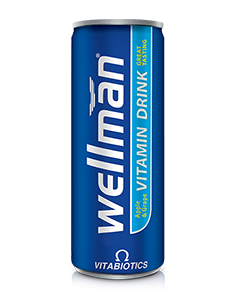 The Wellman Max Omega 3·6·9 capsule contains fish oil as it provides a much more reliable, direct source of DHA, EPA and ALA. Difficulty in swallowing tablets or capsules is quite a common experience. Vitabiotics have researched this extensively, trying different methods, and hope that our tips will help you swallow tablets with ease. The usual advice for those who have difficulty in swallowing tablets, is to break the tablets into 2-3 pieces, before swallowing with plenty of liquid. For capsules (which contain liquid), and in cases where people have more difficulty in swallowing tablets or capsules we recommend after chewing some food (e.g. banana), just before you swallow, pop the tablet or capsule into your mouth and swallow it together with the chewed food, followed by some liquid. The throat opens up wider automatically to swallow the chewed food and hence the tablet should go down with greater ease. Alternatively the tablet or capsule may be swallowed with thicker liquids such as yoghurts or smoothies. We hope these tips are of help.